Here’s an adventure that will truly leave you feeling on top of the world! It's a North Pole expedition unlike any other, built for those short on time but huge on authentic adventures. 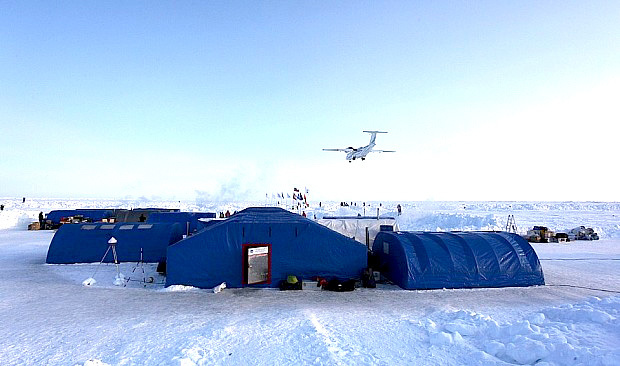 Barneo Ice Camp is a private, seasonal arctic basecamp established and built from scratch every year on an ice floe near the North Pole. Guests use the base as a starting point from which they can actually reach the Pole by way of a helicopter ride and a short walk. Jake Morrison is Quark’s Operations Manager. He’s been to Barneo and tells us the camp location each year is determined by scouting trips in advance. Jake sits down with us to tell us everything you need to know about Barneo Ice Camp. “The Barneo crew conducts reconnaissance to find where they can build a runway where the ice can withstand any pressure cracks in the middle,” Jake says. “The Making Of Barneo video is quite remarkable. You can see how a huge plane flies in and drops materials and supplies with parachutes, including a couple of old bulldozers to plow a runway to get the jet in later. The camp is established by the Russian Geographical Society and is shared by the global scientific community. It is built as reasonably close to the North Pole as possible – usually around 89 degrees North. It only exists for a few weeks each year, and adventurers share the space with scientists from around the world. 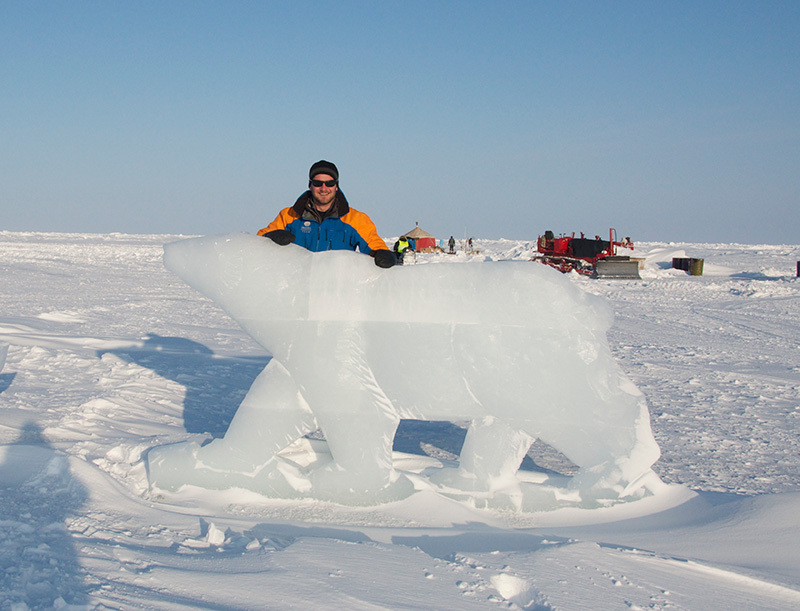 Camping on an ice floe is a special adventure, to say the least. Flying in and out is also not a routine activity, with pilots needing to rely on radio and GPS more than usual. There are many questions travelers might have for someone like Jake in relation to Barneo. He talks about some of the questions he hears most often. How and where will we sleep at the camp? Won’t it be cold? What’s the weather like so far north? How should I dress for the arctic? What will we see at the camp? “You can go for a walk to see what the scientists are up to. When I was there, they had a huge probe they had drilled really deep into the ice, and were taking different samples from it. That was quite cool, being able to see first-hand some of what they’re doing there. Will we see wildlife, like polar bears? Can we mingle and talk with the scientists? What’s the food like at Barneo? How do we get from Barneo to the North Pole? 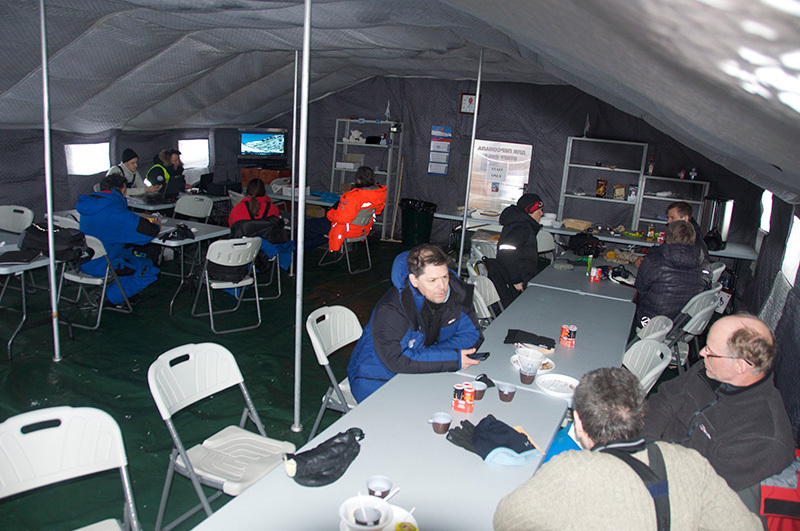 The Barneo basecamp has been rebuilt every year since it was first established in 2002. It can be visited each April, but the dates vary depending on conditions. Guests fly to the camp from Longyearbyen, on the island of Spitsbergen in Norway’s Svalbard archipelago. 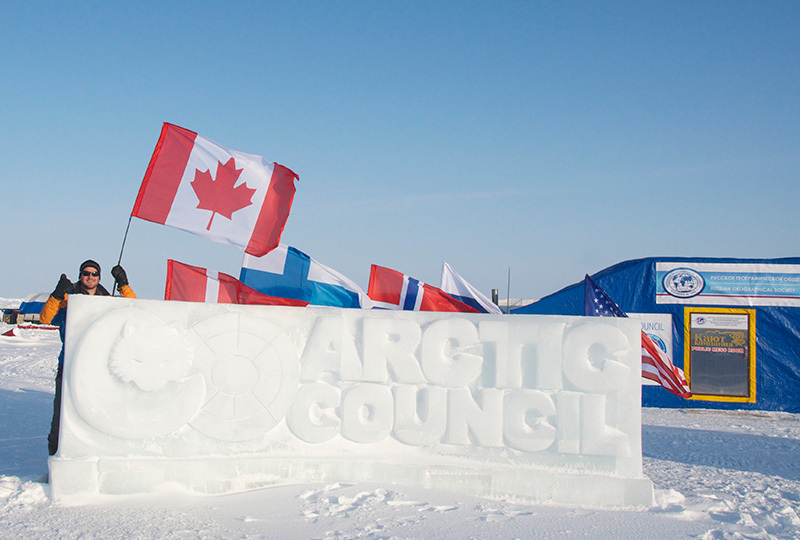 It’s a three-day, two-night stay at the camp, with one of the highlights, the trip to the North Pole, happening on any of the three days, depending on conditions. 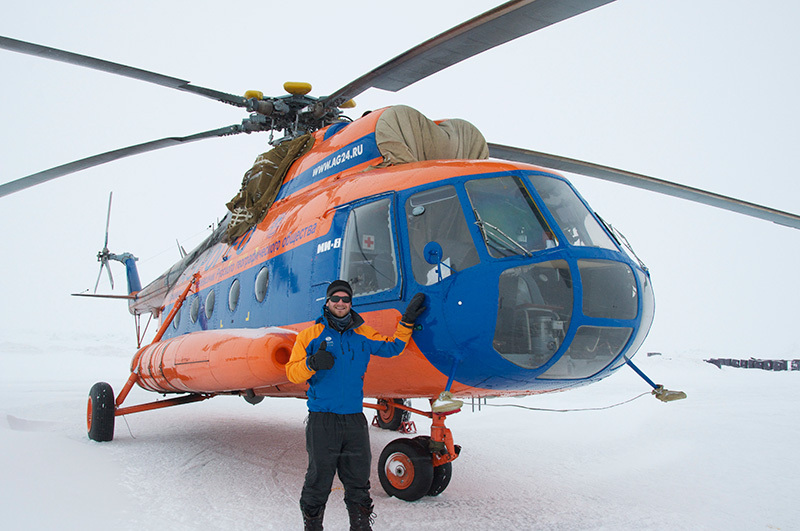 When you make it to the top of the planet, you can celebrate your achievement with a champagne celebration, a walk around the pole, taking pictures and video – and even making a satellite phone call to anywhere in the world! It won’t come as a surprise to our guests that this is the farthest thing from a typical vacation – even as far as polar expeditions go.